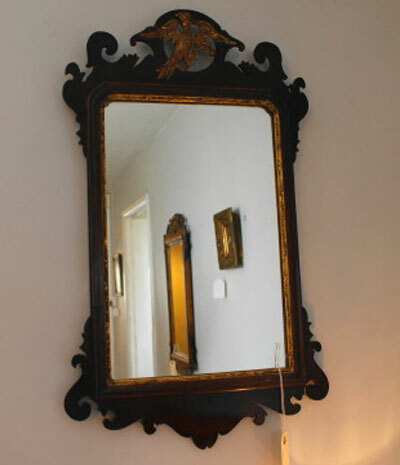 19th century ornate gilded pier mirror. 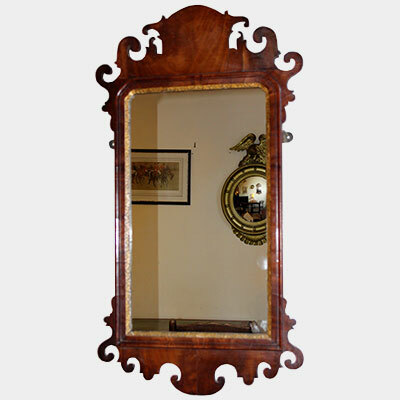 Large 19th century mahogany fret carved wall mirror. 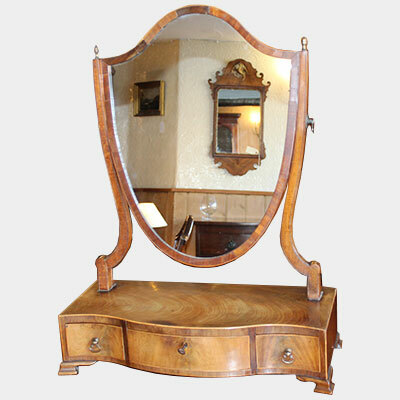 George III mahogany and boxwood line inlaid, shield shape serpentine fronted dressing table mirror. 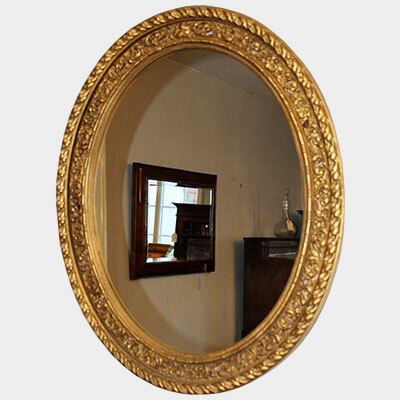 Small Regency giltwood convex wall mirror. 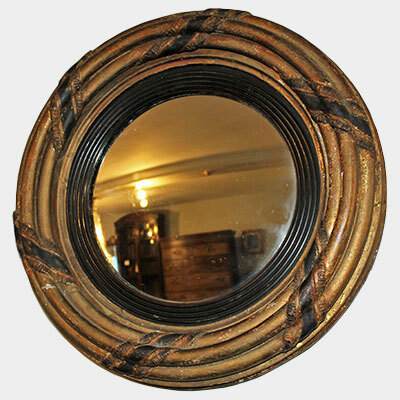 Large oval decorative gilded wall mirror. 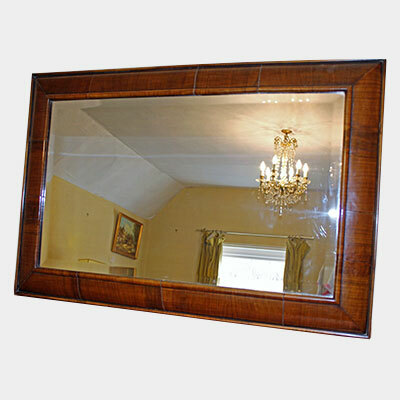 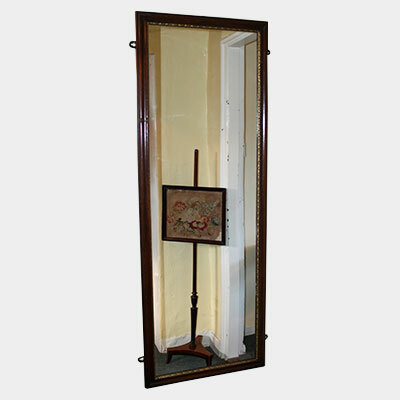 Fine quality antique walnut cusion frame mirror with bevelled glass. 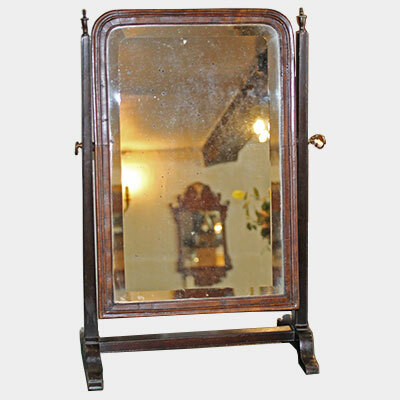 Early 20th century arched top walnut cheval mirror. 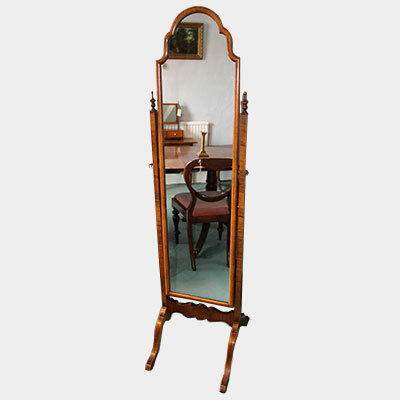 Small george III mahogany swing mirror with bevelled glass. 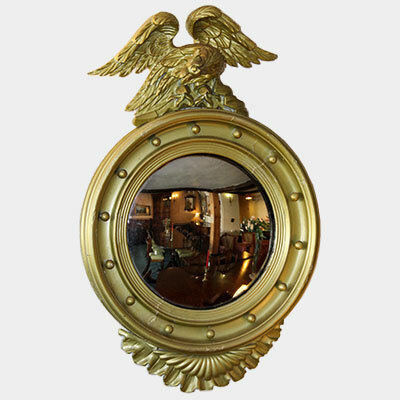 19th century gilded convex mirror with eagle surmount. 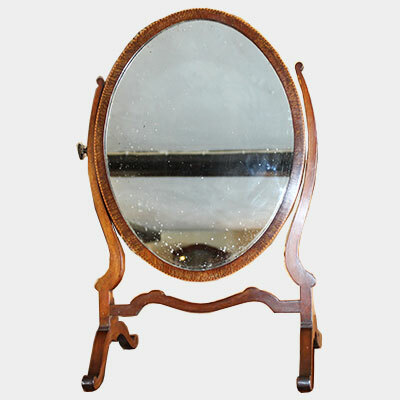 Edwardian mahogany and inlaid oval swing mirror. 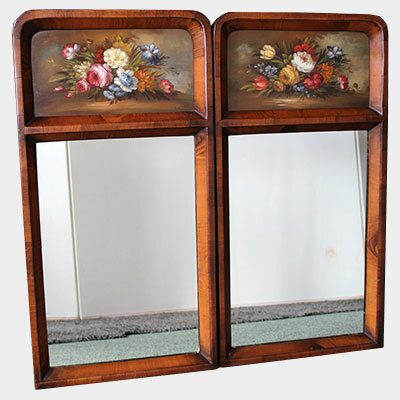 A pair of fruitwood mirrors painted panels by E M Ball. 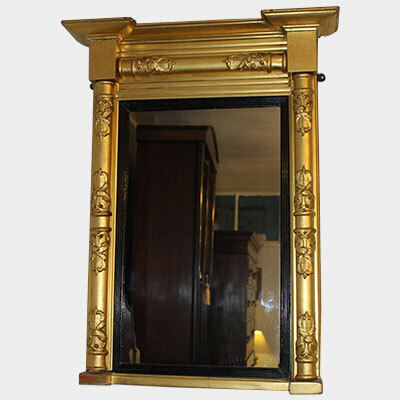 Regency gilted overmantle mirror with shaped cornice and fluted column. 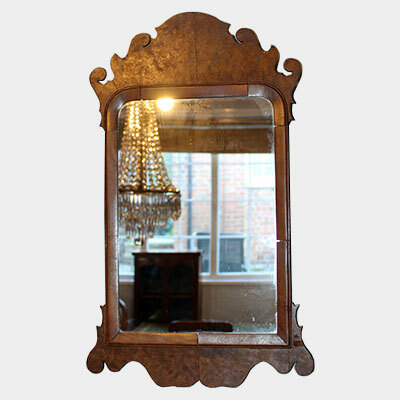 19th century walnut fret carved wall mirror. 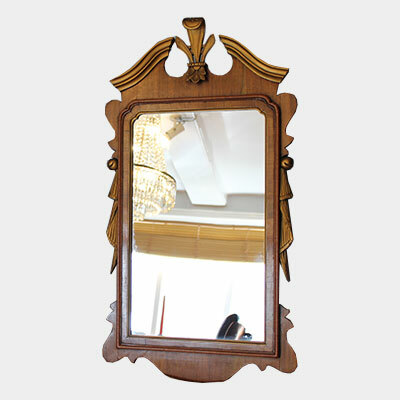 Small walnut fret carved wall mirror. 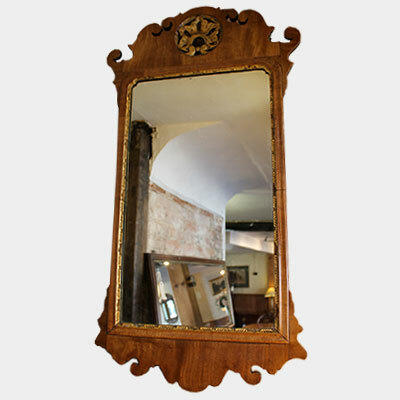 Antique fret carved walnut wall mirror with scallop shaped surmount. 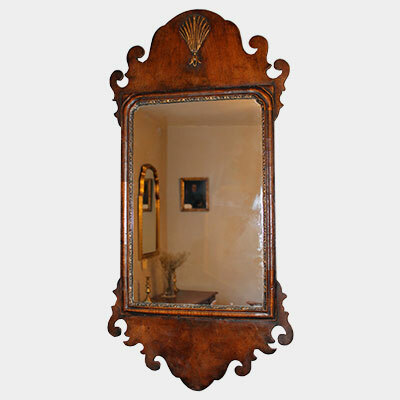 Walnut wall mirror with prince of wales crest. 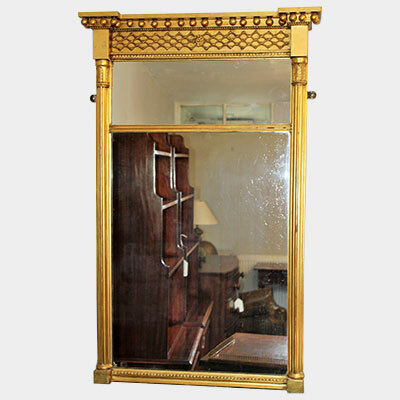 19th century gilt frame wall mirror. 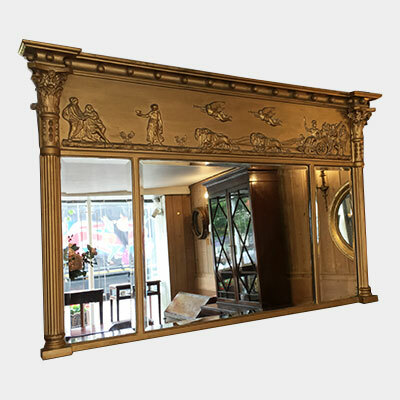 Regency three section giltwood over mantle mirror with bevelled plates and corinthium columns.